HOW VOIP CAN SAVE YOUR BUSINESS THOUSANDS EACH YEAR - "By the end of this post, you’ll have a clear understanding of what VoIP is, why you should use it for your small business, and what the best providers are." voice and video calls and chats over the Internet - Wikipedia. Voice over IP - Wikipedia. VoIP Services Review - Reviews and Comparisons. FRING - since 2006. Free peer-to-peer mobile service enabling live chat, audio and video calls from mobile phones. ICQ - since 1996. "FREE calls from any device. Call your ICQ contacts free of charge and stay in touch wherever you are." Instant messaging computer program. OFONO - since 2009. "Open source telephony." A place to bring developers together around designing an infrastructure for building mobile telephony (GSM/UMTS) applications. Project Fi - since 2015. "Project Fi, a phone plan from Google. A new way to say hello." Project Fi is a program to deliver a fast, easy wireless experience in close partnership with leading carriers, hardware makers, and our users. SKYPE - since 2003. "Free calls to friends and family." Skype keeps the world talking. Call, message and share whatever you want for free. Freemium voice-over-IP service and instant messaging client that is currently developed by the Microsoft Skype Division. "Do amazing things for free: voice and video calls to anyone else on Skype; conference calls with three or more people; instant messaging, file transfer and screen sharing; call landlines and mobiles worldwide." Skype Translator - "Speak another language without learning another language. 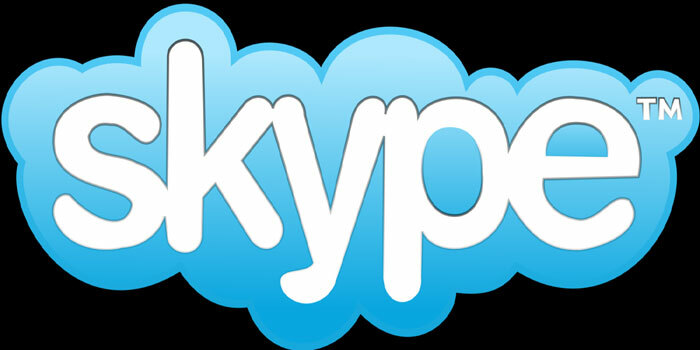 Simply set up a Skype video or voice call with someone who speaks another language to you and start talking. Your conversation is translated into their language in real time. And what they say is translated back in your language. Tango - since 2009. "Free International Calls Through Tango Out." No more international calling cards or worrying about expensive service charges to call home! Video chat, make free phone calls, send text messages and share pictures and status updates with Tango. VIBER - "Free and secure calls and messages to anyone, anywhere." Keep your conversations going no matter where you are. Initially launched for iPhone on Dec 2 2010, in direct competition with Skype. Proprietary cross-platform instant messaging voice-over-Internet Protocol application for smartphones. In addition to text messaging, users can exchange images, video and audio media messages. Vonage - since 2001. "Crazy generous." Free International Calls in iPhone & Android." Free Talk, Text and Video Worldwide. Download and make FREE high-definition phone calls and video calls and send FREE texts, video messages and photos to Vonage Mobile users worldwide. VOPIUM - since 2006. "Reach the world for less." Vopium is an award winning, free mobile phone app that enables you to save up to 94% on your international calls using latest mobile VoIP technology. With over one million customers in 46 countries, Vopium powers reliable cost effective communication around the world. Wire - since 2014. "The most secure collaboration platform." Secure messaging, file sharing, voice calls and video conferences. All protected with end-to-end encryption. Communicate securely with clients and partners - even if they don’t have a Wire account. Create an encrypted guest room in seconds. Send an invitation link and partners can join with a click - nothing to download, no registration required. A team of more than 50 people from 23 countries, supported by Skype co-founder Janus Friis, is launching Wire, a communications network for messaging, voice calling, sharing pictures, music and video on your phone, tablet and desktop. Wire is available on iOS, Android and OS X. It offers communications with an emphasis on high fidelity paired with elegant design. People can use Wire for personal and group messaging, voice calling, sharing pictures, SoundCloud music and YouTube video sharing. Wire conversations are kept in sync across all your devices.